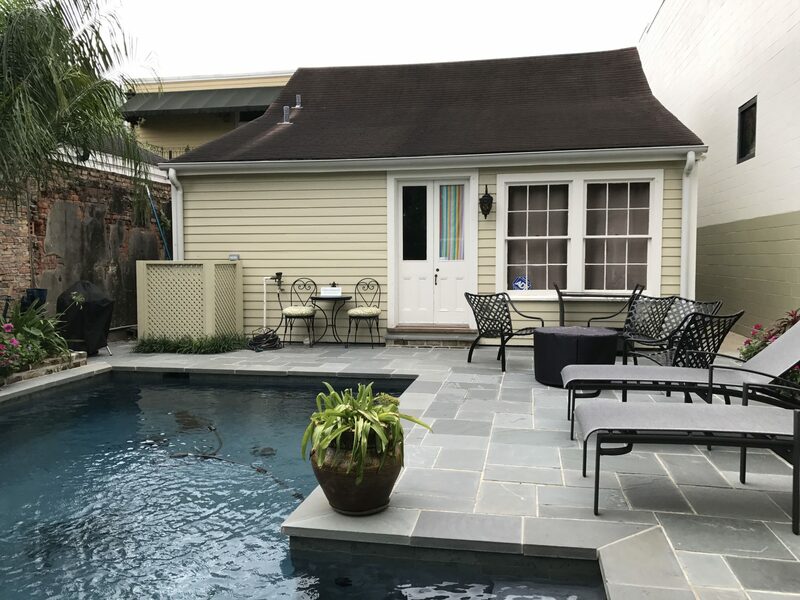 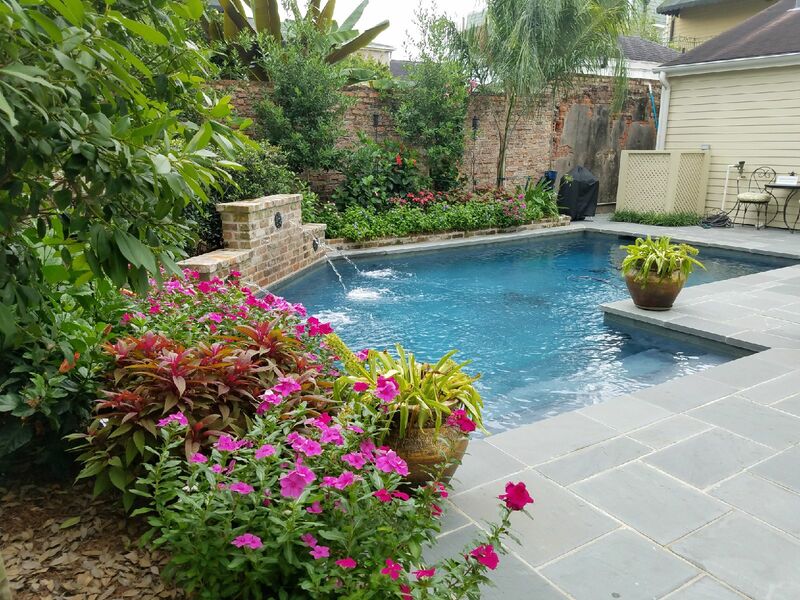 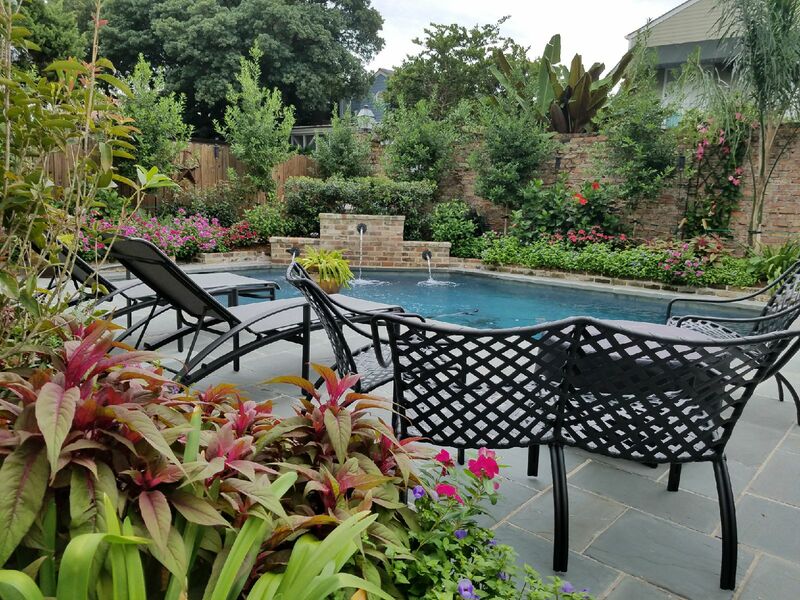 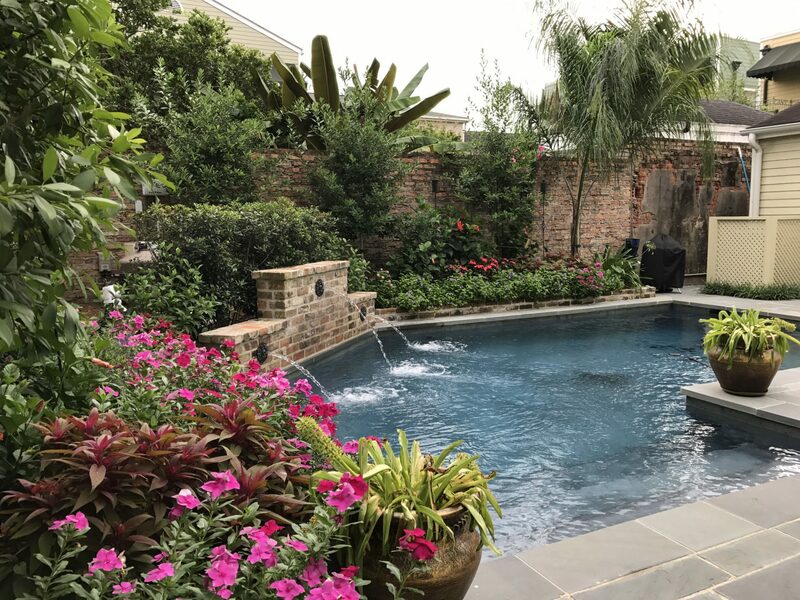 Before & After: Stout Pool » Exterior Designs, Inc. 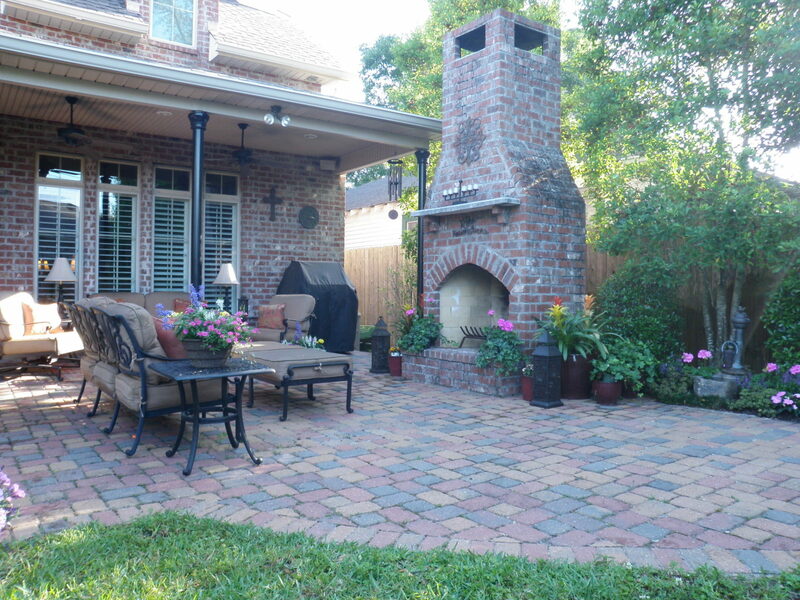 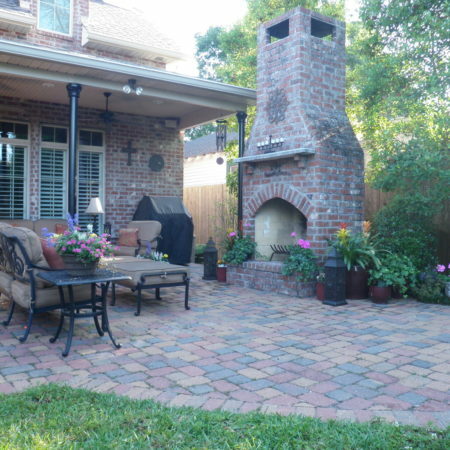 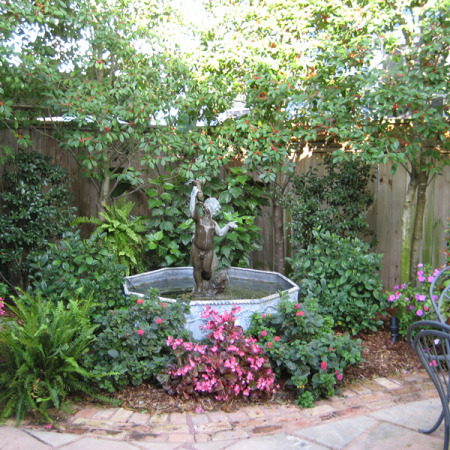 This backyard was originally boring and lacked purpose. 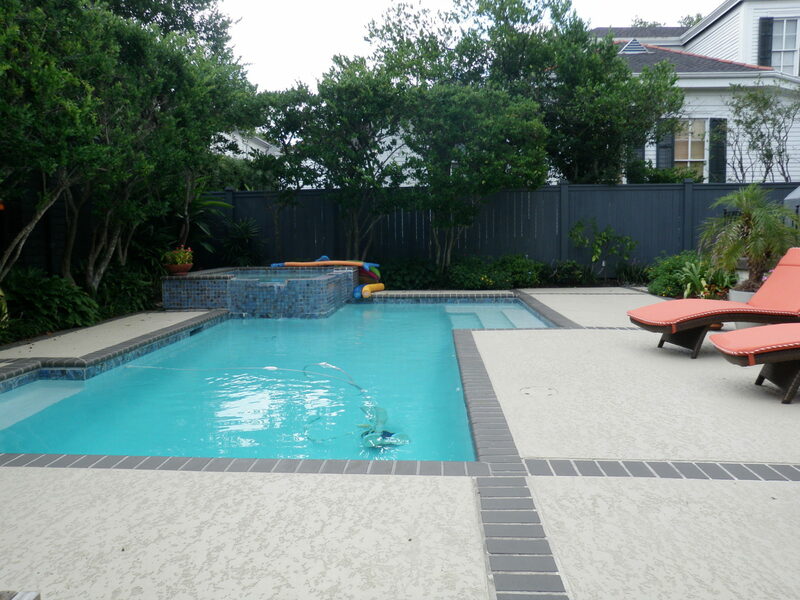 The homeowner’s yearned for a place to put their belongings, while creating a space fit for relaxation. 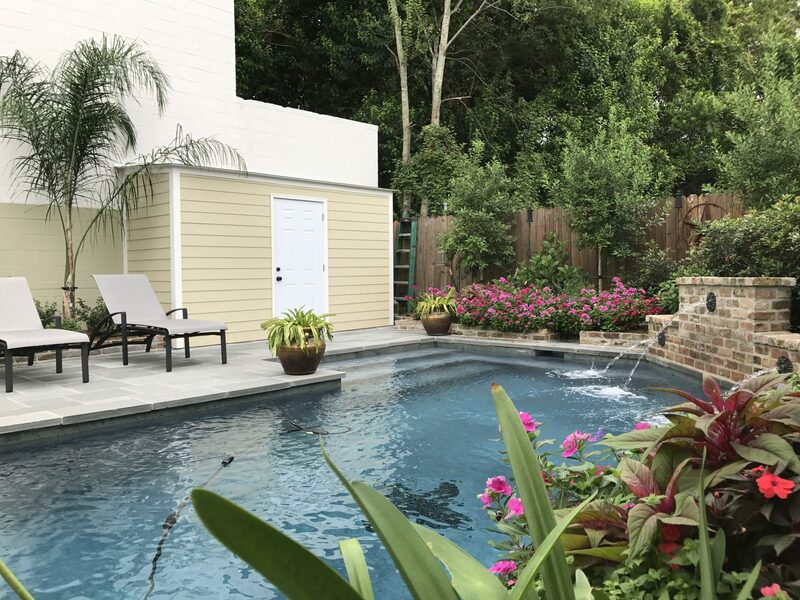 Exterior Designs custom built a storage shed for their things, while creating a space that feels like a retreat from the bustling city. 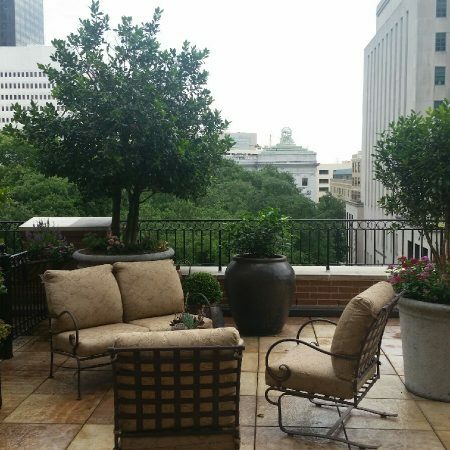 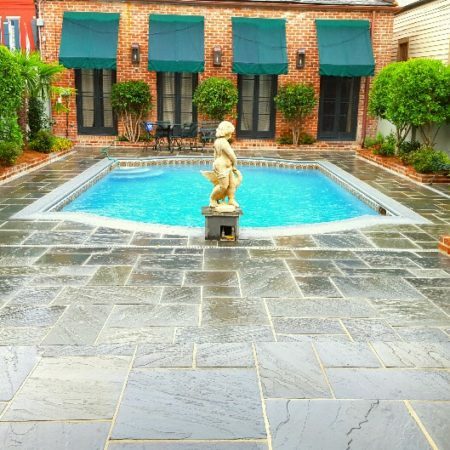 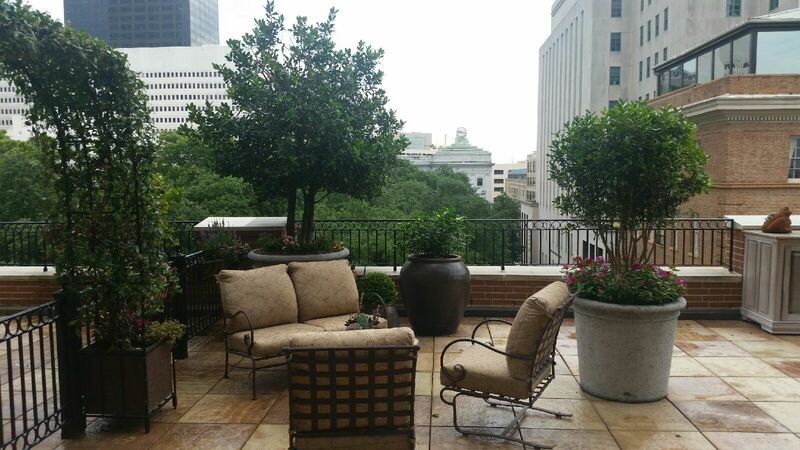 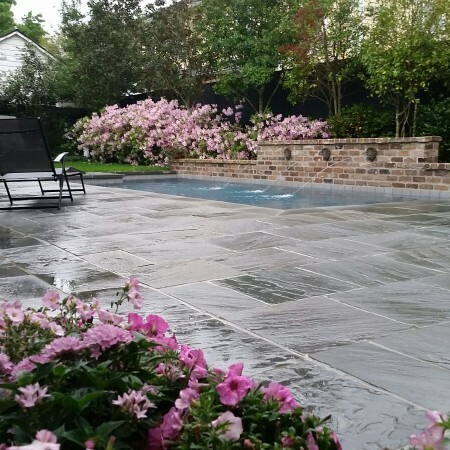 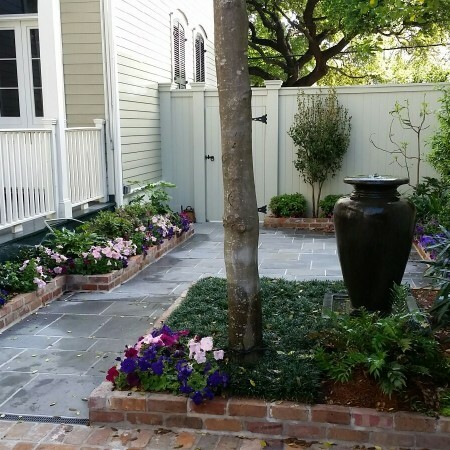 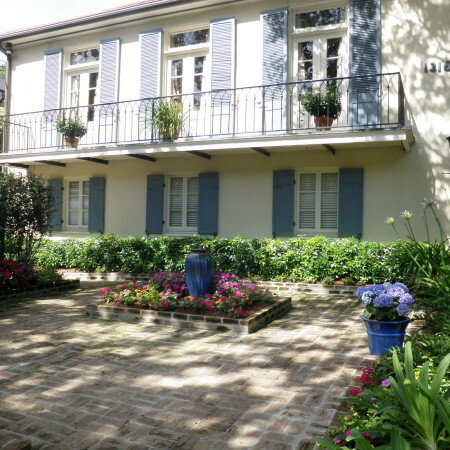 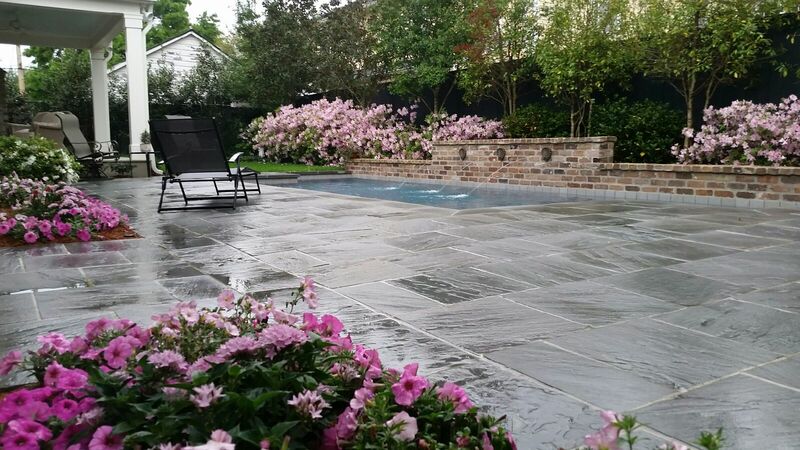 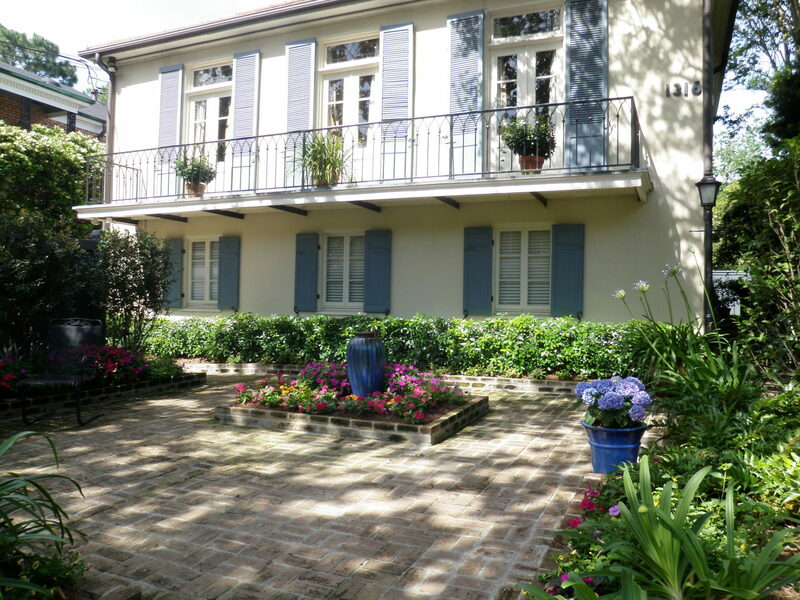 Beverly Katz selects blue cut flagstone, a traditional New Orleans material found in many of the city’s courtyards. 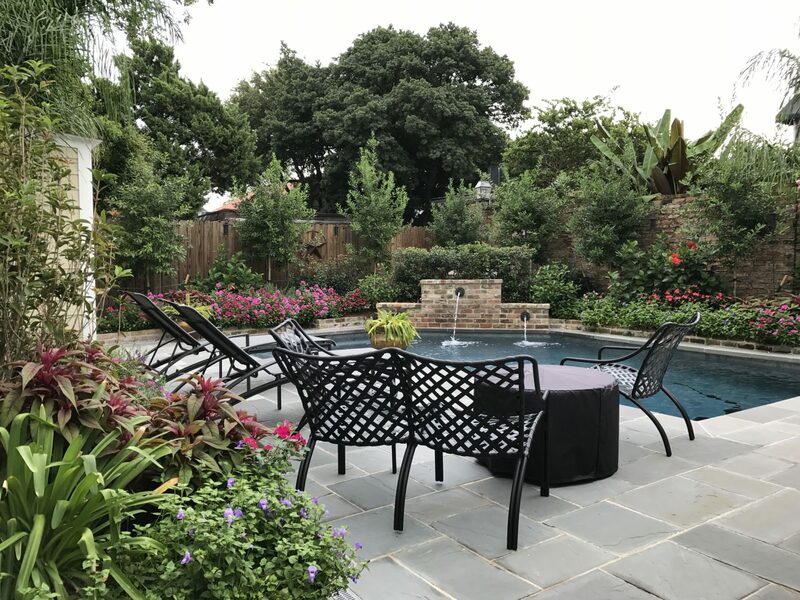 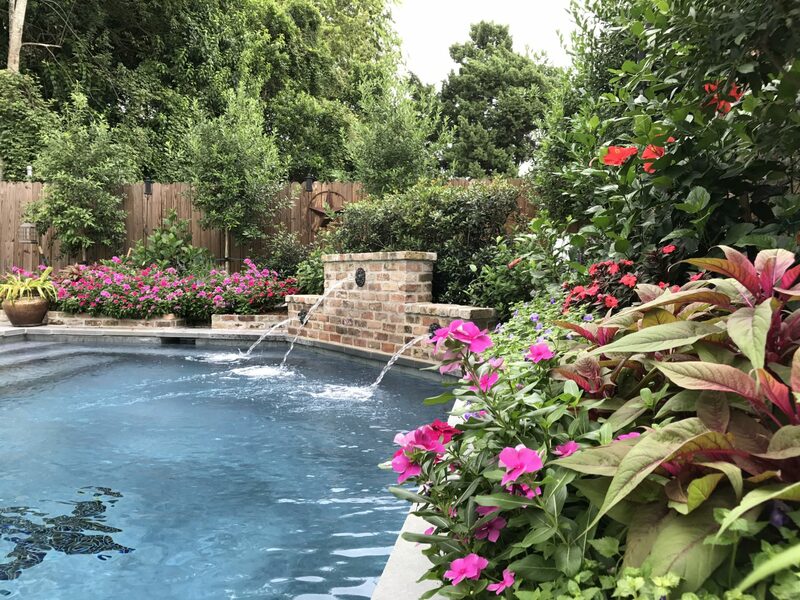 She also creates dimension behind the pool by layering lush flowers and shrubs. 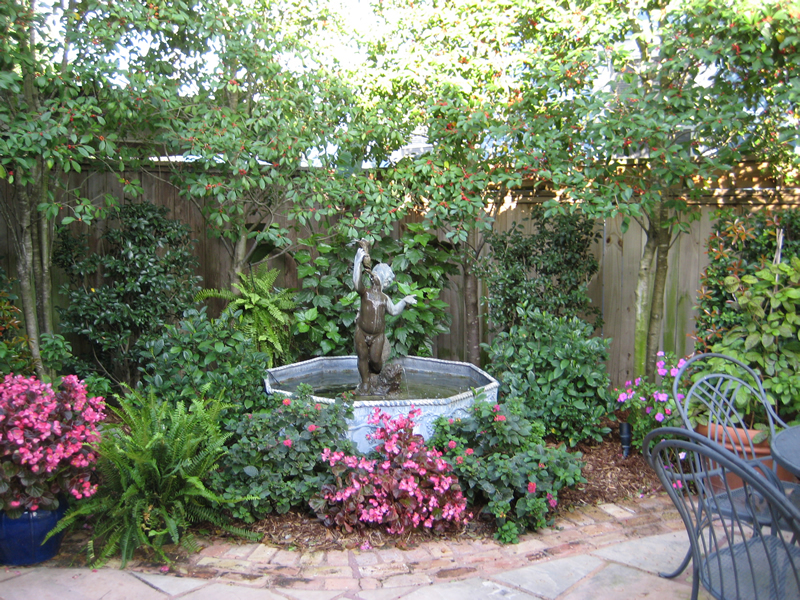 The greenery provides a privacy screen and dampens city noises. 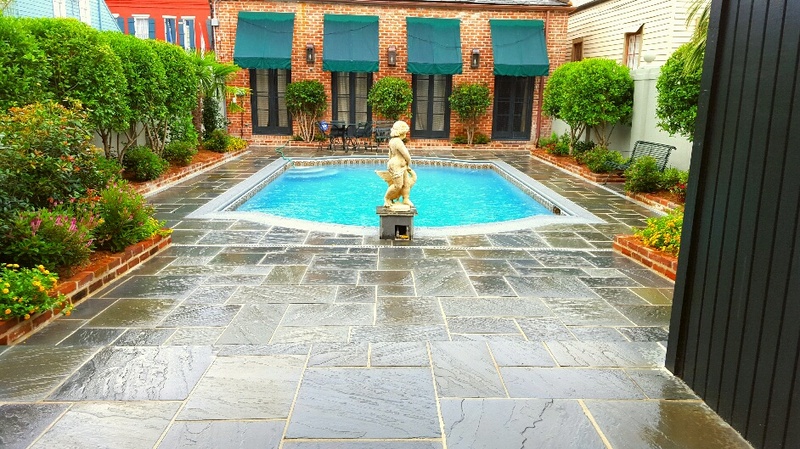 The beautiful custom pool was hand-dug since space would not allow for heavy machinery. 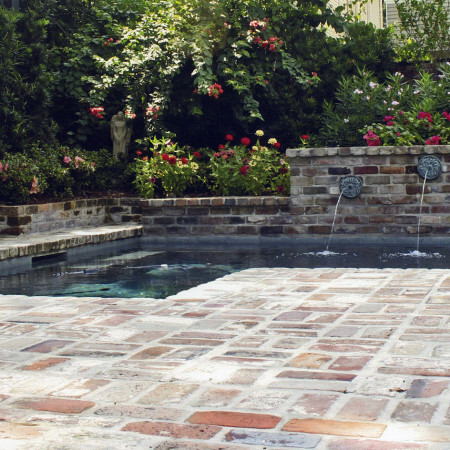 The pool is finished with a fountain that creates a soothing sound of water trickling. 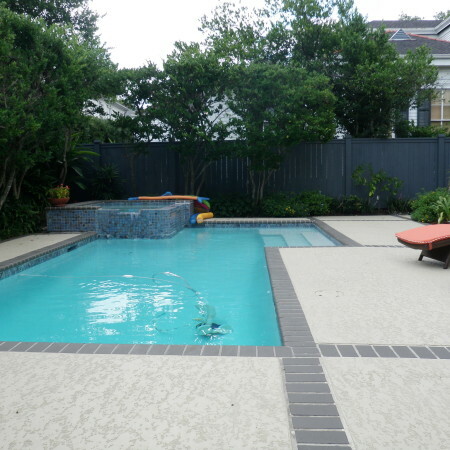 The homeowners and their guest have a place to unwind with the complementing lounge furniture. 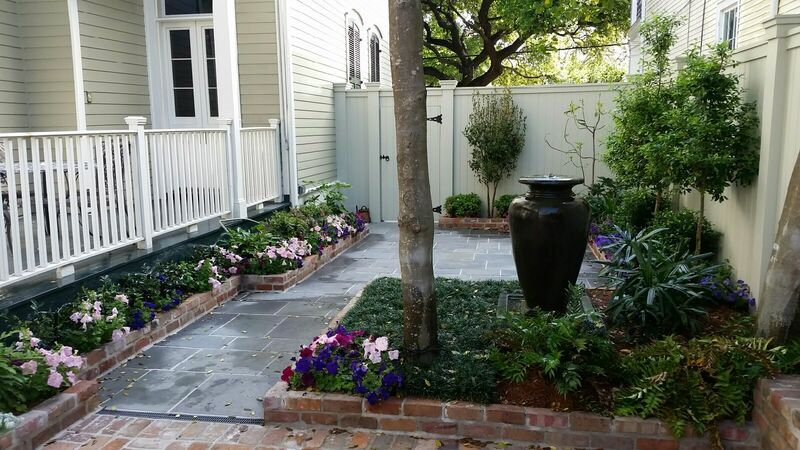 From boring to adoring, this landscape was a true transformation.